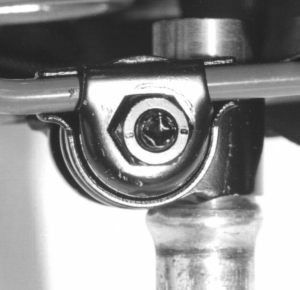 Also see: seat post clamp installation instructions. 1. Remove the nuts securing your seat to your seat plate. Remove your current seat and any loose shims. 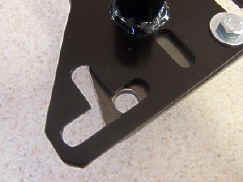 Your seat plate may have one of these shapes. 2. Line up the holes and slots. 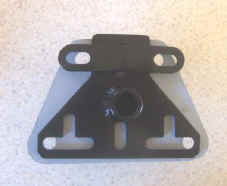 Bolt the adaptor plate (black in the photo) to current bike seat plate using nuts, bolts and washers provided. 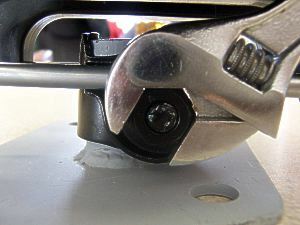 Use adjustable wrench to tighten nuts securely. You may need to slide the top bar up or down to match your holes. Please note 3 hole plates and some 4-hole plates do not use the cross bar. Some large plates need an extension bar. 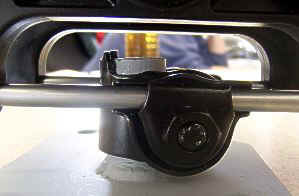 If your post clamp is not already on your seat, seeseat post clamp installation instructions. 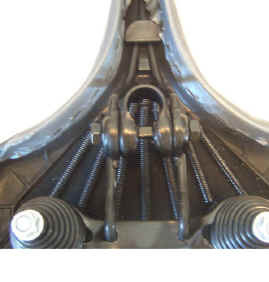 You may need to rotate the clamp to the forward position if the adaptor plate hits the rear springs of the seat. 3. 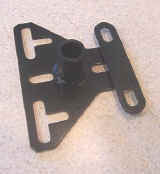 Slide black post clamp and seat - onto the post of the adaptor plate. 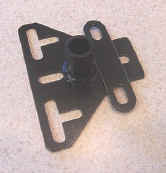 Rotate seat from side to side, front to back, and up and down, to position seat in proper position according to enclosed instructions. 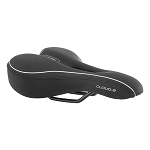 Seat should tilt very slightly down to the front. 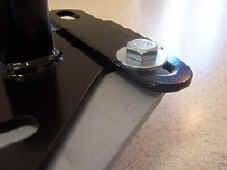 Tighten black nuts on both sides of black adaptor until tight and seat does not move. 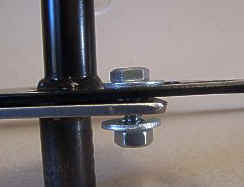 You may need to lower your large seat post 3 to 5 inches to accommodate the adaptors and new seat. Check nuts after 1 week and tighten as necessary.